Rumor has it that China’s Xiaomi could be entertaining the idea of putting a 9:18 display on its next flagship smartphone, which is apparently codenamed “Chiron”. This one would likely be the Mi 7, though Xiaomi has other high-end devices in the portfolio that could be in for such a treat in the near future. The Chiron’s display is pegged to be a 6-inch affair with a resolution of 1080 by 2160 pixels and likely be supplied by Japan Display, a triumvirate between Sony, Toshiba, and Hitachi. 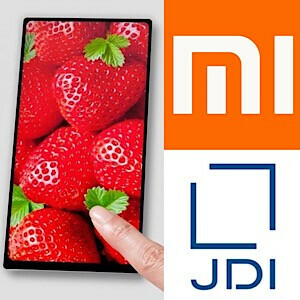 There’s a possibility that JDI’s Full Active display, which was unveiled recently, might be the one that will make the cut. Blame it on Samsung and LG for making such unorthodox displays mainstream as they essentially debuted on the mass market alongside the LG G6 and the Galaxy S8/S8+, but it seems that other manufacturers are eager to follow the trend. However, if we have to be precise, Xiaomi’s Mi MIX back in 2016 featured a 17:9 display on its own, though it can’t be argued that this phone was merely a functioning proof of concept and one of the first ‘bezel-busting’ devices out and about. Of course, tall 9:18 displays go hand-in-hand with efficient ‘bezel-less’ designs, so it’s safe to speculate that Xiaomi’s next handset could be taking some pages off the Mi MIX, the Galaxy S8, and the LG G6. The Chiron has been also pegged of boasting 8GB of RAM, which would match the top variation of the OnePlus 5. Aside from the display and the RAM, a nothing else regarding the Xiaomi Chiron has leaked thus far, but rest assured we will let you know if we stumble upon something noteworthy. At least the ball is rolling now and there's no turning back from the small bezels. I really hated the phones in the last 3-4 years. The ball is rolling, but apparently this finger with the stupid strawberries is the only mock up of this amazing advancement on the entire internet! Until enough apps and videos are adapted to such screen ratios, I won't be buying those phones. Ah! So another member in the bandwagon of 18:9 aspect ratio, eh? Can't say I didn't see it coming... When two top-dogs have ditched the 'traditional' 16:9 in favor of 18:9 or more, you sure bet that Chinese OEMs are going to copy that sooner than later...!!! Heck, even iPhone 8 is rumored to possess an 18:9 display, but I HIGHLY doubt that... Reason is simple: Remember when Apple went with 16:9 from 12:9 (usually called 4:3) of it's iPhone 4S and how apps were behaving TERRIBLY with the newer aspect ratio...? Thing is, Android apps contain bitmaps of all type of aspect ratios, hence you can go as extreme as 20:9 or something and apps will STILL be optimized for it...! Same goes to games although videos are another story...! Whereas iOS contain bitmaps of 'traditional' 16:9 as all iPhones from 4S onward came with it and hence developers didn't bother to optimize their apps to other aspects ratios... Hence, I highly doubt that I'm going to see an 18:9 iPhone anytime soon...! Oh well, G'Day! that's a simple fix for most developers, you know that right? it just takes time to get the updates through the app store. the android app market was no different. not all of the apps displayed appropriately on my S8+ when i first got it, but it was quickly fixed. if you've never used the new ratio, then you need to, it's so much more comfortable in the hand for large phones. it's night and day. Exactly, people today are just spec junkies. Laptops have half of these specs and still exceed in productivity, gaming and resourcing. Most Android fans always bolsters specs. I would like to see a "Flagship" device that was 16:9 (for optimal media viewing) at 5-5.5" on a 2K screen. 6GB+ system ram and options up to 128GB storage. Leading edge Qualcomm SOC and Two SIM slots, one which might also be a microSD. True USB-C 3.1 implementation for rapid charging and data transfer. All the varios LTE bands (4G/5G) to facilitate travelers and the various International markets. Bluetooth, etc as would be expected... Clean, unadulterated ANDROID 7.x or current OS with the option of adding the manufacturer's layer or not. Most importantly, a rear camera that exceeds most current specs with a truly superior sensor and the optics such as are discussed in your other article about Nokia and Zeiss and the sensors used in the Nokia Lumia 1020. These are a good start. Is this really too much to ask? A true Flagship device which pushes the envelope at all levels. Can it run Adobe Creative Suite CS6? Nope! Dont want it, pointless. Just wish Xiaomi pushes updates faster ... look at OnePlus ... they are doing great in terms of updates .. recently. Added to that, I hope they improve/replace that vibrating screen thing to produce sound from that screen .... it just isn't loud/good enough.